The Roanoke Valley in Virginia&apos;s Blue Ridge continues to develop a reputation for world-class mountain biking with its extensive network of trails and passionate biking culture. The region is featured in a new story by Roots Rated titled "Is Roanoke the Best Up-and-Coming MTB Destination in the Southeast?" 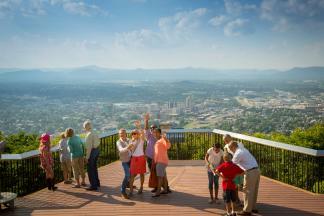 The story was written by Rob Glover, who was assisted by Visit Virginia&apos;s Blue Ridge with images and content ideas. 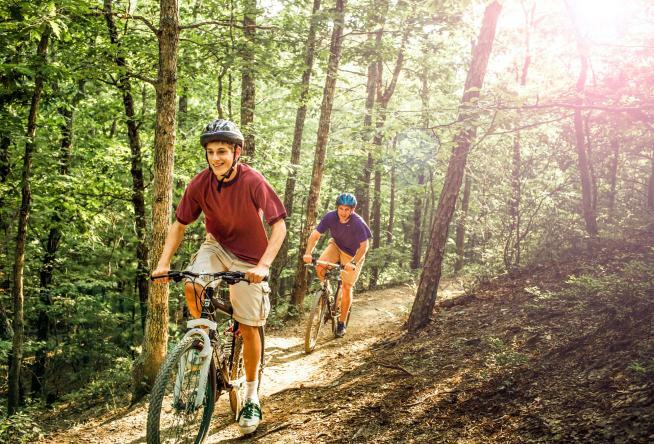 Readers will have the opportunity to learn about what makes this a premier destination for mountain biking, with easy access to challenging trails at parks like Carvins Cove, Mill Mountain Park, and Explore Park, which can accommodate riders of all skill levels. The article also provides information about the Take the Trail Ambassador Program offered by the Roanoke chapter of the International Mountain Biking Association. This is a wonderful resource for visitors that allows them the chance to connect with locals who are familiar with the trails and help them find the perfect ride. Click here to see the complete article on the Roots Rated website. Roots Rated is a media platform that focuses on providing readers information about the best outdoor experiences and highlighting authentic outdoor communities.